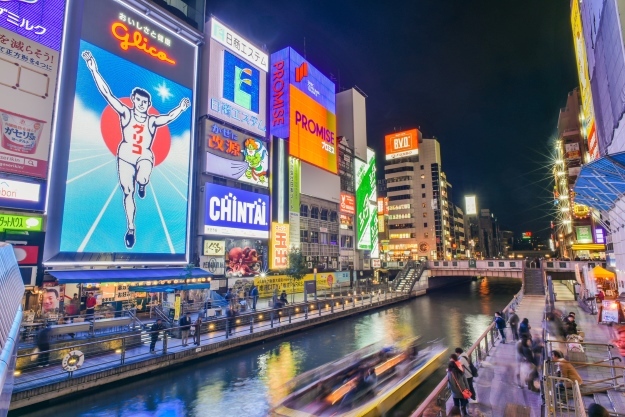 Osaka is being dubbed one of the hottest city destinations in the world at the moment. Its eclectic food scene is celebrated across the globe, while its ancient history is one of the oldest in Asia. “Osaka is a fantastic city for anyone interested in enjoying Japanese food and shopping,” said Cory Varga, from You Could Travel. “A little different than the capital city, Tokyo, Osaka seemed more business oriented. For food lovers, Dotonbori Street is the place to be, where you can find all sort of sushi and ramen bars, as well as plenty of street food. I believe Osaka is a great place for shopping, with many malls, streets and arcades. When deciding where to base yourself in Osaka, I suggest trying the bay area, which, although located further away from the city centre and main attractions, offers luxurious accommodation for the same price as a business hotel in popular areas.” It has long been a point of interest for travellers and now, on your own Japan tour, you can explore this stunning city. Osaka has attracted people from not only across Japan, but also the world, for thousands of years. The river and sea routes have been a major part of its development, and have certainly paved the way for its rise to becoming an economic hub in Asia. A stronghold of the Edo Dynasty, Osaka has ornate castles, palaces and temples which represent 2,000 years of Japanese history. It was the epicentre of Chinese cultural influence in Japan back in the fifth century A.D, making it a flourishing location for politics and culture. During your Japan tour you can visit these historical sites. One such place is the unique Open Air Museum of Old Japanese Farmhouses. Walking around here you really feel like you have taken a step into the past. There are eleven authentic farmhouses which have been reassembled in an idyllic setting. But when in Osaka, there is one site that stands out above all else. Along with Mount Fuji and the cherry blossom, shots of authentic castles are the most iconic images of Japan. The incredible architecture and design command your attention and appreciation. 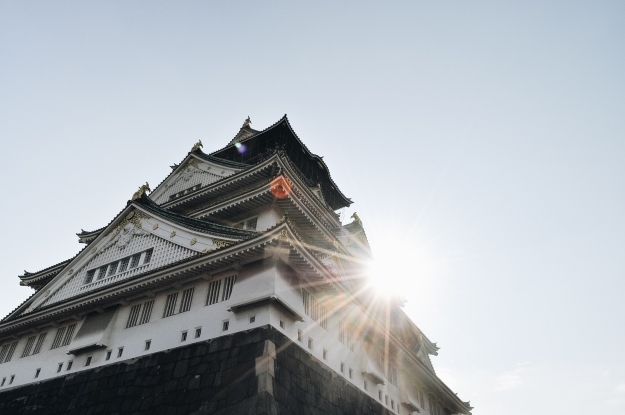 Osaka Castle was first conceived in 1583, when construction began. In its 500 year history, the castle has been destroyed, knocked and burnt down by lightning. The castle as we see it today was built in 1931, following a concrete reconstruction. Across Osaka Castle Park you can enjoy green space, shrines, citadels, gates, turrets, moats and stone walls which all help to shape what life was like here all those years ago. It is also one of the best places to witness the cherry blossom, where 4000 trees sit. 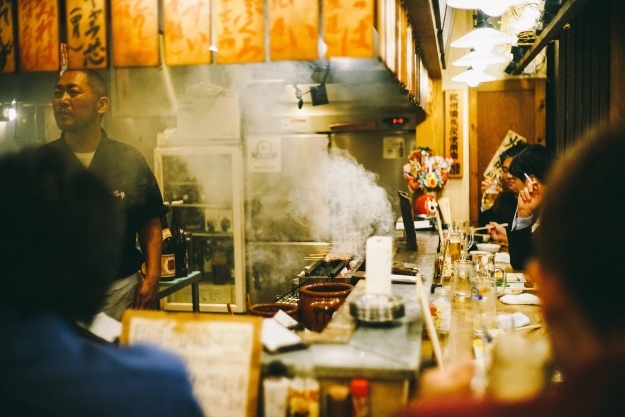 Dubbed the ‘kitchen of Japan’, Osaka is one for all the foodies out there. Every budget and every taste will be satisfied during your Japan tour, with street food and high-end restaurants sat side-by-side along the streets. Before you tuck into some local dishes, why not learn about the history of one of Japan’s best-known exports? The Instant Ramen Museum exhibits the rise of instant noodles. Momofuku Ando is the ‘father of instant ramen’ and invented the world’s first instant noodles – his chicken ramen – on August 25th 1958, after a year of research. His invention became an instant hit. But after a trip to America, Momofuku noticed that people would break up his ramen into a cup and then add water. He then decided to create the Cup Noodles in 1971, making it a globally accessible food. Here you can learn all about the phenomenon of instant noodles, but you might work up an appetite walking around. Fortunately you can create your very own cup of noodles at the My CUPNOODLES Factory. Pick your own ingredients, soup and flavours and take the workshop to bring your creation to life. Eat in the museum or take them home as a souvenir. When we asked Hendric from The Travel Intern what people should try when they visit Osaka, he didn’t hesitate: “The food! Osaka is the food capital of Japan and you can find all sorts of food from all over the country. From street food like okonomiyaki, to classics like ramen and sushi. There’s a lot to savour. Given Hendric’s advice, we had a look at some authentic Japanese dishes that you should try in the city. Okonomiyaki originates from Osaka, adored by locals and travellers alike. Similar to a pancake, you will find it served in a number of varieties across Japan but here expect the mixture of shredded cabbage with either seafood like squid, prawns and octopus or meat. This is combined with a batter and served with mayonnaise, green laver and dried bonito. Noodles are widely associated with Asia, but there are many varieties. Udon are thick and chewy and considered to be a more elegant variation of the dish. They are commonly served swimming in a broth that is less salty than the likes of Ramen, but don’t think for a second that they fall short on flavour. Udon are extremely popular around Japan, mostly because of the amount of styles you can incorporate them into. You can find them alongside a curry, as part of a cold soup or even stir fried. Some dishes are synonymous with a destination. 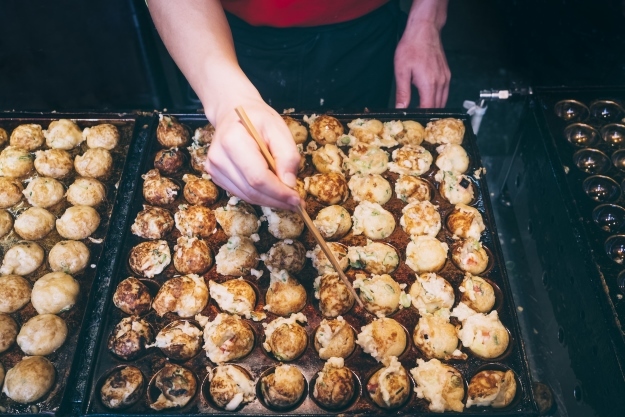 Poutine in Canada, pizza in Naples, a hot dog on the streets of New York and Takoyaki in Osaka. Meaning ‘grilled octopus’, these little golden balls are a batter mixed with a piece of octopus, onion, ginger and other ingredients. An extremely popular street snack, you’ll find numerous vendors serving this little treat. Asia and Japan in particular is widely associated with seafood, but you will be mad not to try the meat on offer. Otherwise known as Japanese BBQ, Yakiniku is a traditional way of grilling beef, with the meat places on top of a charcoal grill – even in the middle of a restaurant. Oden is the ugly duckling of Japanese cuisine. While everything else seems to be a brilliant colour, perfectly laid out and served, the typical winter dish is like a savoury pick ‘n’ mix. Amongst a warming broth will be a number of ingredients like a slice of daikon radish, yaki chikuwa which is a fish-paste cake, mochiiri kinchaku, a hardboiled egg, konnyaku, shirataki, ganmo and more. A dish so popular it has its own museum. Ramen, like sushi, has taken the world by storm. The Japanese take their ramen very seriously. If you spot a long queue outside an unassuming cart or small restaurant, then the chances are they are waiting for ramen. There is such a variety on offer, from seafood to pork, all based around a deep and wholesome broth which itself can vary on where you go and what you crave. When you book a holiday, particularly to a destination as culturally rich as Asia, you might oppose shopping. But don’t. Its proximity has meant that for hundreds of years people have been heading to Osaka for the latest imported goods. Now, the story remains very similar. Each neighbourhood and district is distinct for its goods, like electronics in Denden, or the boutiques in Shinsaibashi. If you are a sucker for design, the miles of shopping centres will keep you occupied, while just walking down the side streets will let you discover independent stores selling handmade products. Sport is massive in Osaka, and indeed, Japan. Each fixture is an entire event, with raucous fans cheering on their beloved athlete or team. Baseball is extremely popular in Japan. Hanshin Tigers are the oldest professional team in the country, founded in December 1935. Their Koshien Stadium houses what are considered to be the most fanatical supporters in the league, making for an unbelievable atmosphere. Following wild celebrations after the Tigers’ Japan Series win in 1985, fans who resembled players jumped in the Dotonbori canal. The supporters even grabbed a life-sized statue of KC Colonel and threw it in. For years the club struggled to win again, spawning theories about a curse. However, in March 2009 the Colonel was found after 24 years. Football is another big sport in Japan. The national side are considered the best in Asia, regularly a feature in the World Cup. Domestically, Gamba Osaka play their football in the country’s top division – J1 League. Since being founded in 1980, Gamba have won the top-tier on eight occasions, as well as the AFC Champions League in 2008, making them the second most decorated side in Japan. Osaka’s rich history, world-renowned gastronomy and welcoming atmosphere have rightly made it one of the most desirable destinations in Asia. Your Japan tour can help you discover a side to a beautiful country that you wouldn’t have seen before, in a setting that has been luring curious minded travellers for thousands of years. 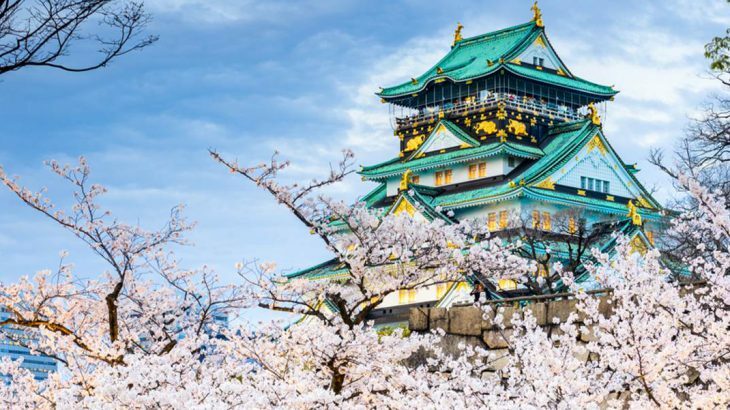 Book an escorted tour of Japan, including time in Osaka, with the UK’s leading Asia Experts, Wendy Wu Tours. Our fully inclusive tours visit all the major sights of Japan for an unforgettable holiday. Or, call our tailormade team to create a Japan itinerary of your very own! Japan city break, culture, food and drink, Japan, top things to see. permalink.